You’re probably already familiar with the marvelous health benefits of green tea. You may be less familiar with another form of green tea called matcha or green tea powder. Green tea powder is made from the leaves of tea trees grown in the shade and then lightly steamed to prevent fermentation and loss of antioxidants. This light steaming process also preserves the chlorophyll content of the green tea leaves which gives green tea powder its characteristic brilliant green color. The leaves are then finely ground into a powder form which can be used in a variety of green tea based drinks or added to recipes of all types. The benefits of green tea powder make it a healthy and tasty alternative to traditional green tea. Green tea powder is thought to be one of the healthiest forms of green tea since you’re consuming the whole tea leaf rather than just the liquid extracted from the leaves. Measurements of green tea powder’s antioxidant capacity has been shown to be many times higher than the antioxidant activity of such antioxidant rich foods as blueberries and chocolate. Plus, you also get the added health benefits of the high chlorophyll content found in green tea powder. Surprisingly, green tea powder has almost ten times the antioxidants of regular green teas making it the nutritional powerhouse of green tea drinks. Green tea powder is not only prized for its healthy properties, it also plays an important role in the Japanese tea ceremony known as Chanoyu. 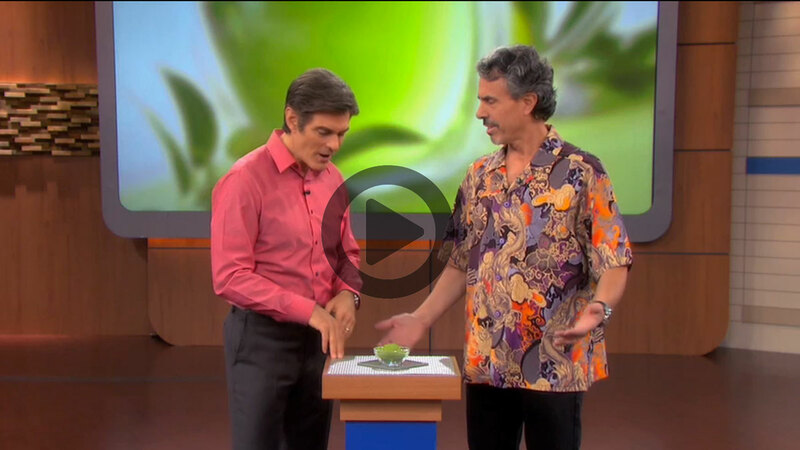 Video courtesy of The Dr. Oz Show and for educational purposes only. ENSO TEA is not in any way affiliated with or endorsed by Dr. Oz or Harpo, Inc.